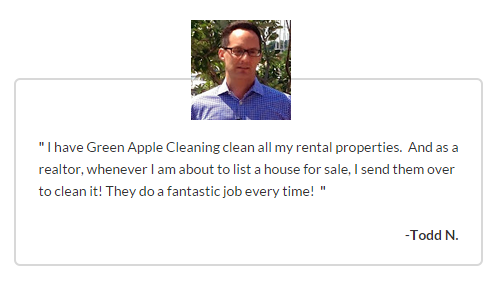 Green Apple residential and commercial cleaning services are available in Hunt Valley, MD! Green Apple Cleaning provides high quality, low cost residential, commercial and janitorial cleaning services in Hunt Valley and areas nearby in Maryland. Our professional cleaning teams take pride in managing their residential and commercial cleaning assignments. We will work to delight you, your family or co-workers by expertly cleaning your Hunt Valley home or office. Our goal is to clean your house or building the way you want it be cleaned. 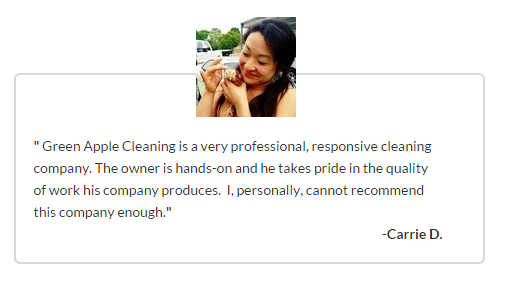 Great service begins with great people and that is why we only hire only the best, most qualified professional cleaners in the business. If you are tired of doing the cleaning yourself or just need a better cleaning services company, join the thousands of satisfied clients who choose Green Apple Cleaning for their residential and commercial cleaning needs.